The Australian Gold Lunar Pig 2019 Series 2 is the sixth coin in The Perth Mint Australian Lunar Series. A completely redesigned coin from the 2007 Lunar Pig the Australian Gold Lunar Pig 2019 Series 2 is slightly larger in diameter although the weight content remains the same. 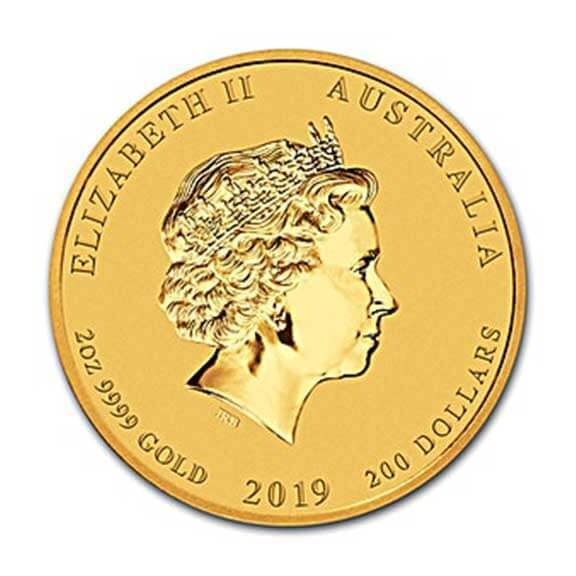 Because these pure gold coins are collectible our Buy and Sell prices are for perfect coins in original plastic holders. According to Chinese Astrology, the Year of the Pig person is a smart person. They think of clever schemes in a cold calculating manner. This Chinese zodiac animal sign represents people who are loners and use others to achieve their aims and goals. 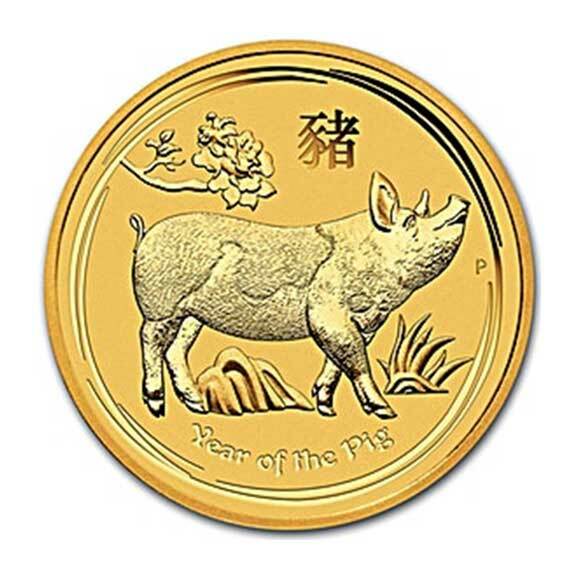 The Australian Gold Lunar Pig 2019 Series 2 is popular because they are limited in production to 30,000 coins. 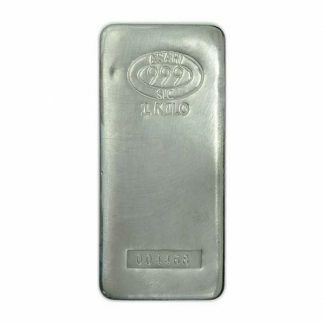 The Year 2000 1-ounce Gold Dragons, the 2007 Gold Pig and the 2002 1-ounce Gold Horses have reached their productions caps and are no longer being produced, so availability is limited to the secondary market and higher premiums sometimes develop. 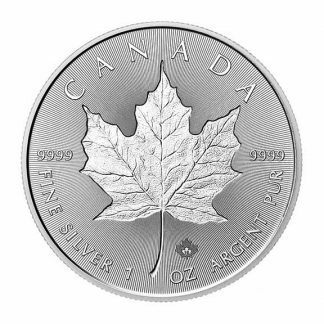 Visit lunarcollectorcoins for more info on the lunar series.